The results of a new method for arthroscopic all-inside meniscus repair using a biodegradable cannulated screw (Clearfix meniscal screw) were assessed in a medium-term follow-up prospective study. The Clearfix meniscal screw system consists of delivery cannulae, screw driver, and screw implants. After tear debridement, a screw is located on the driver and passed through the cannula to the insertion site, holding the two sides of the tear together under linear compression. Forty-eight patients (48 repairs) with a mean age of 32.7 years were included in the study. Ligament stabilizing procedures were done in 39 patients (81%) who had anterior cruciate ligament deficient knees. Only longitudinal lesions in the red/red or red/white zone were repaired. Follow-up averaged 19 months, with a range from 12 to 48 months. Patients were evaluated using clinical examination, the “Orthopaedische Arbeitsgemeinschaft Knie (OAK)” knee evaluation scheme and magnetic resonance imaging (MRI). Criteria for clinical success included absence of joint-line tenderness, absence of swelling and a negative McMurray test. Postoperatively, there were no complications directly associated with the device. Twelve of 48 repaired menisci (25%) were considered failures according to the above-mentioned criteria. According to the OAK knee evaluation scheme, 38 patients (79%) had an excellent or good result. MRI, however, showed persisting grade III or IV lesions in 35 patients (73%). 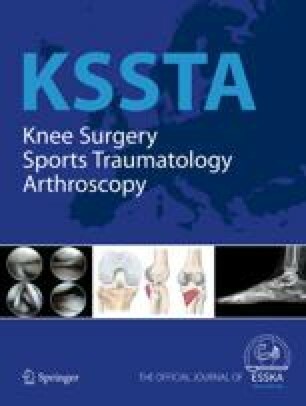 Analysis showed that age, length of tear, and simultaneous anterior cruciate ligament reconstruction did not affect the clinical outcome. In contrast, risk factors for failure of meniscus repair are chronicity of injury, location of tear more than 3 mm from the meniscosynovial junction and meniscus side (medial).